At least 11 garment union leaders and activists have been detained in Bangladesh in an alarming step backwards for worker rights and democracy in the country. Security forces have raided the houses of trade union leaders and volunteers, and many have gone into hiding in fear of their safety. Trade union offices in Ashulia, the garment-producing hub of the capital Dhaka, have been invaded, vandalized and forcibly shut down, with membership documents burned and furniture removed. 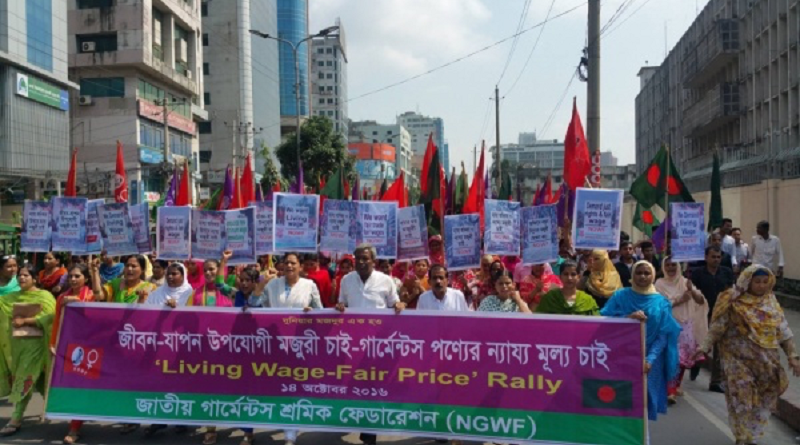 After garment workers demanded an increase in wages in December, more than 1,600 workers have been fired and police have filed cases against 600 workers and trade union leaders. Sign the petition to stop the attacks on garment workers and tell the government of Bangladesh to immediately release the detained union leaders and activists, and drop all charges against them.